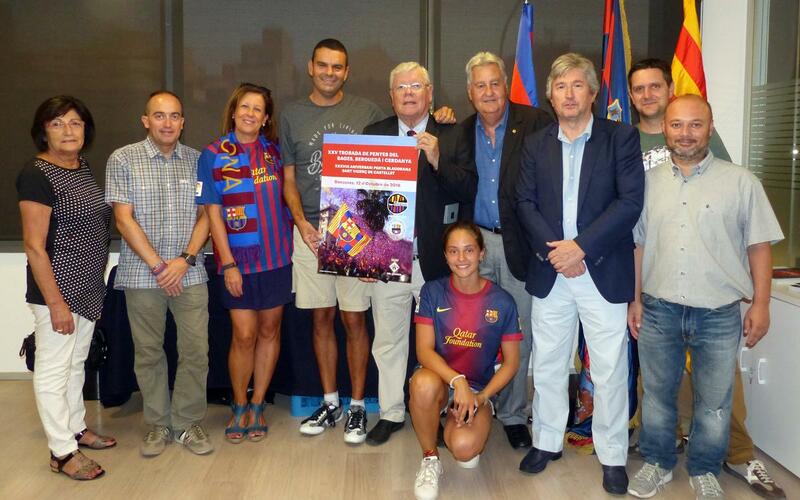 For the third time since 1988, the Penya Blaugrana de Sant Vicenç de Castellet is organising the Bages, Berguedà and La Cerdanya Supporters Clubs Meeting, a region where passion for Barça has always been high and where the club presided by Josep Gomáriz has been doing it proud for 38 years. FC Barcelona first vice-president ​​Jordi Cardoner i Casaus will be representing the board in the company of Jaume Carreter of the Social Commission and former players Ricardo Serna and Juan Manuel Asensi. The club’s doors will be open from 10.00 to offer food and drinks before a procession is set to start an hour later and wind up outside the Town Hall, where they will be received by local mayor Joan Torres. In July of this year, the mayor presented the council’s top medal to Josep Gomáriz in recognition of what he has done for social life in the town and for what the Penya has done to promote the community’s image. The events will then switch to the local library, where a number of prizes and awards will be presented, and at 12.45 there will be a Latino Swing concert until the speeches start at 13.45, followed by a gala dinner that is sure to attract hundreds of Barça supporters.